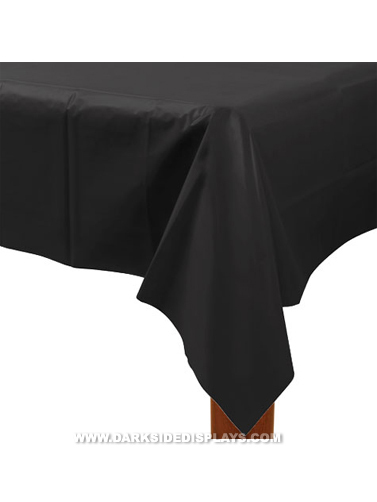 Black Plastic Table Cover will compliment many Halloween party themes. Jet black cover is sized for a rectangular table. Black Plastic Table Cover measures 54" x 108".